We love it for its museums – which are truly world-class! You’ll want to spend time at the triangle of galleries made up by the Prado, Reina Sofia and Thyssen-Bornemisza to see the work by Velazquez, El Greco, Goya and Picasso. And the niche museums are worth considering also! You’ll have to visit the city’s most famous squares such as Plaza Mayor and Puerta del Sol. 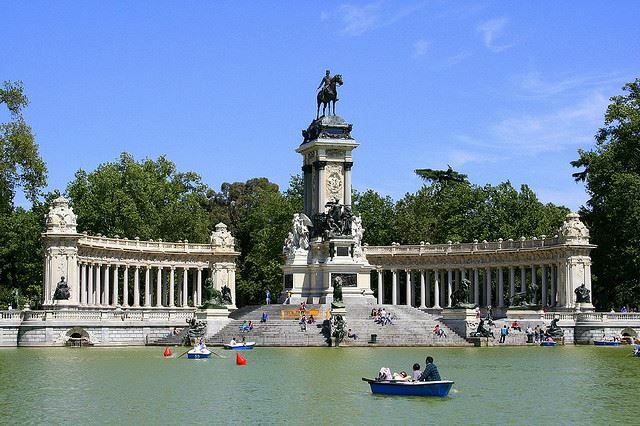 And the Retiro Park is a must. So are the city’s many foodmarkets including the Mercado de San Miguel and the new Platea. What else should you see? Soak up old Madrid in the Royal Palace and the Cava Baja area. The well-heeled side of Madrid is best observed in the barrio Salamanca. Historians will want to see the Plaza Dos de Mayo and literary fans should have a coffee at the Café del Espejo and the Circulo de Bellas Artes – which is where you need to go for a great view of the city. At night – the outdoor terrace is unbeatable. You also have lots of wonderful daytrips from Madrid – we recommend Toledo, Segovia, El Escorial and Salamanca. Have a read of our detailed guide to Madrid and our separate guide on perfect day trips from Madrid. Conde Nast Traveller calls its Spain’s most exciting seaside city saying you’d be “hard pressed to find a European city that offers more”. We agree – the Gaudi architecture alone – the Sagrada Familia, Casa Mila and Park Guell to name but a few – make the visit worthwhile. Read our guide to Gaudi’s Barcelona for insider tips on getting around. But Barcelona is more than its architecture. We love its confidence, openness and its vibrancy. We love its colourful flea market on the Ramblas, its old Gothic city centre and the Jewish coll. We love Barcelona’s gastronomy – they’ve taken food markets to a new level at the Boqueria where you’ll find you exciting foodie tours and cooking classes to teach you about their wonderful flavours and combinations. We love their innovation and give-it-a-whirl approach – whether that’s chocolate and cava tasting tours or Michelin-starred tapas. And the nightlife? Barcelona certainly doesn’t disappoint! If shopping is a key part of your holiday, you’ll love Barcelona for its flashy Spanish and international labels plus plenty of independent stores, artisan craftsworkers and the high-street essentials too. You’ll also find great outlets outside the city centre. And when you’ve seen it all, eaten it all, and almost spent it all, there are wonderful day trips to the region’s wineries, monasteries and you can explore Dali’s Catalonia and the charming Costa Brava coastline. 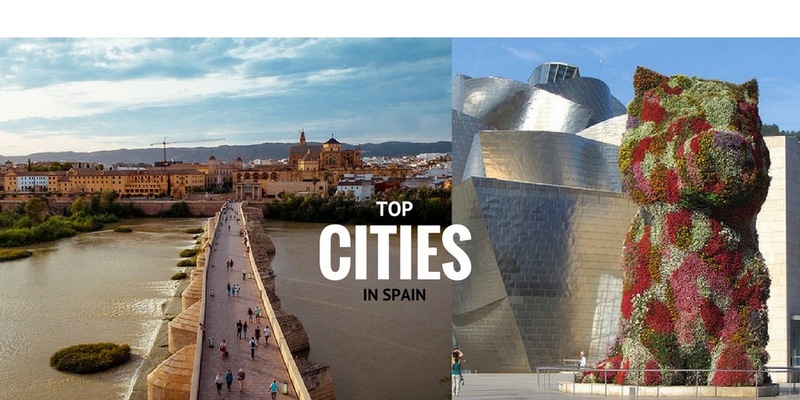 Spain’s third city is really enjoying its moment in the sun. Conde Nast Traveller writes that it “has experienced a fresh sense of glamour and modernity in recent years”. 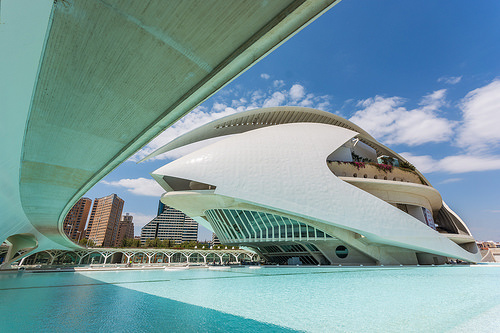 The obvious place to explore that glamour is at the wild and wonderful City of Arts and Sciences designed by home-grown ‘starchitect’ Santiago Calatrava which is every photographer’s and sci-fi fans dream. If you’re a fan of markets, like we are, you have two treats in store for you in Valencia. The Telegraph recommends the extravagant Art Nouveau building that is the Central Market suggesting that we “gaze up at the tiled dome, adorned with painted oranges, then look down at the pyramids of the real thing at ground level and have a freshly squeezed juice at the bar outside the market. Full of flavour and zing, it’s like Valencia in a glass.” We also like the Modernista-styled Colon Market (Colon doesn’t refer to a body part but to the navigator Colombus) which was a fresh food market but it now more like a mall and is a very pleasant place to stop and have a drink. You might try the horchata here or elsewhere around the city – it’s a refreshing almond-like drink made from a root called the tiger nut. And you can’t be in this part of Spain without trying the delicious paella. To digest your meal, you many want to take a stroll around Turia Gardens. The 12-sectioned space was created when the river was diverted away from the city centre following the catastrophic flooding in 1957. Culture vultures will want to visit the IVAM – a museum that takes a look at the 20th century art movements including Popart and Abstract. And we can’t write about Valencia without mentioning Las Fallas where giant figures made from paper, wax, wood and Styrofoam are burned ceremoniously. A year’s work of labour goes up in smoke every year from 15-19 March. Only in Spain! 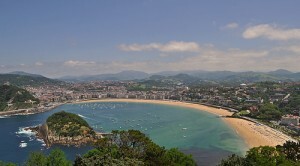 If you are looking for enchanting Spain, then look for further. Seville is the most romantic of the Spanish cities – where else will you wake up to the scent of orange blossom and find horse-drawn carriages in the park? Although it’s always enjoyed its fair share of visitors, the Alcazar, Giralda and Plaza de Espana have been even busier than usual following the filming of the HBO series Game of Thrones here. We always recommend starting out at the Barrio Santa Cruz which was the old Jewish quarter in Seville. 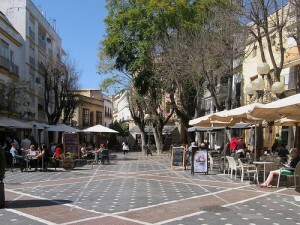 It’s a wonderful place to walkabout and people-watch while sipping a drink at a café. Pop into the Hospital los Venerables to see a Velasquez and enjoy one of Seville’s wonderful private courtyards with a fountain. If you enjoy history, you’ll know that Seville’s cathedral (together with the Alcazar and Archivo de las Indias) is protected under the World Heritage Convention. According to Frommers, its “Gothic structure is so enormous that even its builders recognized the folly and fanaticism of their dreams.” Build on the site of a former mosque, it’s the largest Gothic cathedral in the world and is the burial site of Christopher Colombus who docked here on his return from the Americas and put this city on the international trading map. Make sure to climb the Giralda bell tower where the views of the city are wonderful and as you exit, visit the Patio de los Naranjos (Orange Courtyard). Opera fans will enjoy a visit to the Royal Tobacco Factory – the workplace for Bizet’s Carmen. 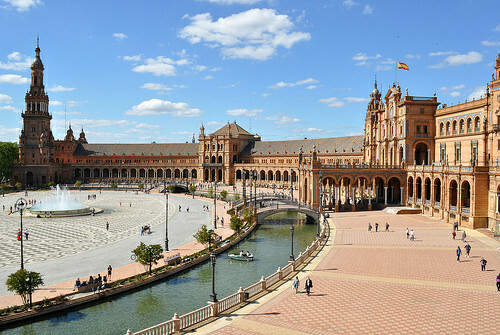 Just south of here, you’ll find Seville’s best park – the Maria Luisa – alongside which you will find the beautiful Plaza de Espana – another ‘must-see’ here in Seville. 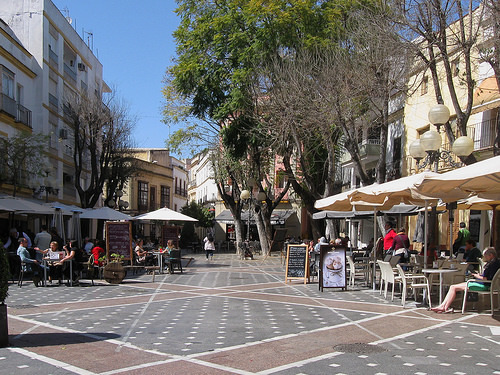 Shoppers should explore Calle Sierpes for traditional Spanish items such as fans, ceramics and leather goods. Anybody with a little girl in their life should pick up a feria-inspired flamenco dress or the flamenco shoes and castanets. And don’t leave Seville without seeing some live flamenco– you’ll thoroughly enjoy it. Real our guide to Unusual Andalusia for more ideas. The Costa del Sol’s most exuberant city is how the Independent describes Malaga – suggesting it is far more than a gateway to the beaches. It’s actually a haven for Picasso fans as you’ll find a Picasso museum and the painter’s childhood home which is open to the public. History buffs will be happy to know there’s an 11th century fortress and those seeking the great weather in Andalusia, have certainly come to the right place. Foodie fans should check out the Atarazanas foodmarket which is the best place to see local ingredients and pick up a mid-morning snack – we don’t have to remind you of the beautiful stained glass at the market– you can’t miss it! The museums are great too – especially when it gets too hot in the middle of the day. We like the Picasso Museum – including the 16th century palace that houses the collection. And we are big fans of the Carmen Thyssen Museum where we go to see the old masters, the fin-de-siecle works and a selection of paintings reflecting the region’s folklore and traditions. You should also visit the Russian Art Museum which is in the old tobacco factory. And the Pompidou Malaga on Muelle Uno – which is the regenerated harbour area with bars and restaurants – it’s a good spot to explore by day or by night. If you are travelling at Easter, you’ll be truly spoiled for entertainment. The Malaguenos put on a very vibrant Holy Week. The actor Antonio Banderas is always back home for Semana Santa so if you think you see a lookalike leading a procession, it might actually be him. If you are visiting the city in the Summer, the Telegraph recommends the Fiestas del Carmen held in mid-July and the Malaga Fair in the third half of August. This Basque city has become synonymous with the titanium-clad Guggenheim museum by Frank Gehry that catapulted the city to the front pages of all the travel glossies and brought about the much quoted term, the “Bilbao effect”. The Guggenheim is still a huge attraction today and everybody who visits will adore the Jeff Koons Puppy, Richard Sierra’s The Matter of Time and of course the building itself is a blast for the senses. But Bilbao is much more than a museum. In fact, when we talk about the city to friends and clients, we find it’s walking away from the museum where we really have a lot fun. We can spend hours on the riverside walkway looking at the Calatrava bridge. How many times have we smiled at the tram that runs along funky grass-covered tramlines? And why does a giant spider inspire so many photos? The old part of the city known as the old Casco Viejo is often the highlight for many visitors. The Plaza Nueva and the Seven Streets is a wonderful showcase of just how fun and challenging urban life in Spain is. The Washington Post calls it “a pedestrian’s paradise woven with medieval streets, cafes and tapas bars”. If fin-de-siecle is more your style, you’ll enjoy the newly restored Ribera foodmarket and walking towards the Gran Via you’ll find some truly spectacular cafes, a wonderful railway station and a stunning theatre. It’s hard to imagine that this city was once Spain’s most industrialised – we love its new cultural and green agenda and admire the confidence it shows in continuing to work with international architects and designers such as Norman Foster who worked on the metro entrances and Philippe Starck who re-designed the Alhondiga cultural centre that used to be a wine warehouse. As you’d expect, the Basque cuisine is 100% delicious – whether that’s tapas with a local white wine called txacoli or high dining in the city’s top restaurants. And when you’ve experienced the best of Bilbao, you should take a daytrip east to San Sebastian and south to Rioja Alavesa’s wineries. 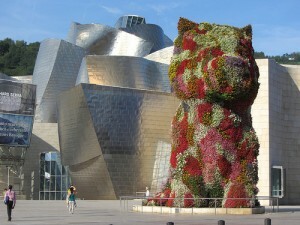 But first, read our detailed post of Bilbao here. Cordoba is the ochre-tinted city that throws opens its doors every May to showcase its wonderfully decorated courtyards. But there’s much more than terracotta pots to see in this Andalusian gem of a city. The Guardian tells us that this former Islamic capital “still holds the keys to huge tranches of our past, both spiritual and intellectual”. Nowhere is this more evident that at Cordoba’s Mezquita or mosque. Built by Abd al-Rahman I in the late eighth century during the Arab occupation of Spain, it was consecrated in the 13th century when Christians seized the city. In 1984, it was declared a UNESCO World Heritage Site and was praised for the co-existence between the mosque and the 16th century Christian cathedral (that was built inside the structure of the original mosque). Nothing can prepare you for the columns inside. It really is spell-bindingly beautiful. And after the cathedral/mezquita and synagogue, unwind in Cordoba’s glorious outdoors. Enjoy the scent of the oranges in the Patio de los Naranjos, have a coffee or a refreshing drink in the Plaza de la Corredera or the Plaza del Potro, and let the senses run riot amidst the 12 courtyards of the 14th century Viana Palace. And of course – there’s the amazing Patio Festival in May – it’s really magical to push open the huge wooden plinths of doorways and find yourself in the city’s unique competition gardens. A real once-in-a-lifetime experience! Spain’s most visited monument, the Alhambra, is in Granada and attracted a whopping 2.5 million visitors last year so we are not talking about an ‘off-the-beaten-track’ destination here. Despite the crowds, we think Granada is an important landmark on any trip to Spain. The New York Times puts it well when it says the Alhambra “represents the essence of Andalusia, a historic landmark encrusted with romantic associations”. The paper recommends visiting early or in the off season, when you can still smell the jasmine in the Generalife gardens and can “truly admire the coffered wooden ceilings, the waterfalls of tile work, the crescendos of Kufic calligraphy and the honeycombed fretwork of the Casa Real”. In addition to visiting the Alhambra, you’ll need time to explore the rest of Granada. We enjoy recommending the Albaicin neighbourhood – which is the largest still-inhabited Moorish quarter in Spain and the original site of an ancient Roman settlement. It is the location for many stunning ‘carmens’ or villas and you are also rewarded with some pretty special views of the Alhambra too. Don’t leave Granada without tasting some of the complimentary tapas in the city’s great bars and restaurants. Make sure to visit the city’s cathedral (captured beautifully here by resident photographer Daniel Nahabedian) where King Ferdinand and Queen Isabella, the Catholic monarchs who reconquered Spain from the Moors in 1492 are laid to rest. We can arrange a guided tour of the Alhambra and the city. 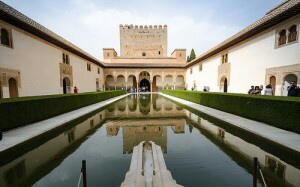 Check out how best to visit the Alhambra here. Perhaps its the combination of old sherry houses, flamenco and the beautifully choreographed “dancing” horses but there’s a unique atmosphere in Jerez – something you just don’t find anywhere else. Although it’s very easy to access, you have a real sense of being off the tourist trail. This city itself is a rewarding space – with almost a Colonial feel from its low rise architecture – you’ll enjoy the wonderful colours whether your looking down from a rooftop terrace or walking the many tree-lined streets peeking into the delightful courtyards. As you might have guessed, you can’t go to Jerez without sampling the olorosos, finos and manzanillas. Names such as Harveys and Gonzales Byass will be very familiar to you but make sure to seek out Bodegas Tradition also for its great art collection as well as its wines. Time magazine likes the wineries but wants visitors to focus on the flamenco. “While Jerez is known first for its sherry,” it explains, “this town lies at the very center of Andalucia’s Gypsy culture.” It recommends the annual Festival de Jerez in late February/early March that offers a fortnight’s nonstop “celebration of flamenco in all its rhythmically ritualized forms.” It also recommends stopping by the Horse Carriage Museum when visiting the Royal Andalusian School of Equestrian Art. The world-renowned school, another ‘must-see’ was founded by the Domecqs who were horse breeders as well as sherry purveyors. The Telegraph gives the equestrian show a huge thumbs up: “It’s enthralling: an extraordinarily precise show. Rather like equine Royal Ballet students, the pure-breds (descended from horses bred by 15th-century Carthusian monks in Jerez) are reared on a farm until their dancing potential can be evaluated at the age of four.” You really should visit the school and take in a show to see just how impressive these horses are. If you’re after more horsepower than hooves can offer, you probably already know about the Formula 1 track at Jerez where you can catch many a big name training if not competing. If you’re more into deckchairs than car decks, Jerez is less than 30 mins from the coast. Plan a trip to nearby El Puerto de Santa Maria or Cadiz or any of the other charming fishing villages on the coast where the coastline and the seafood is amazing. Read our guide to the city here. Once the stomping ground of the Spanish royals, today you’re more likely to be rubbing shoulders with a restaurant critic or a Michelin-star chef. There are 25 Michelin stars in the city and reservations move like quicksand especially when the city hosts big events such as the International Film Festival in September or the Tamborrada drumming festival in January. But don’t worry if you don’t get to see a Michelin-starred chef at work. There are so many amazing cafés, bars and restaurants where you can also enjoy the city’s gastro reputation. And in a foodie town like this one, the food market is often like a who’s who! Do try to pop along to La Bretxa food market early in the morning to see its wares and clientele. Make sure to admire the belle-epoque architecture of the city too. And we love the funicular to the summit of Mount Igueldo – try it out if you can. Plus the beaches – keep an eye out for Eduardo Chillida’s iconic Wind Comb sculpture. Other festivals worth catching are the sailing regatta and jazz in July, the city’s fiestas in August, the rowing championship in September and Gastronimika in October. To read more about the city, check out our guide here. Trip A Madrid & Barcelona: The easiest combination is to tackle the two biggest first – that is Madrid and Barcelona. Do this the speedy way and take the high speed train which connects both in less than three hours – half the time it takes to drive! We’d suggest a minimum of two-nights per city. Trip B Madrid to Cordoba & Seville: It takes just 100 mins on the high-speed train to get from Madrid to Cordoba. Another 55 mins will take you from Cordoba to Seville. 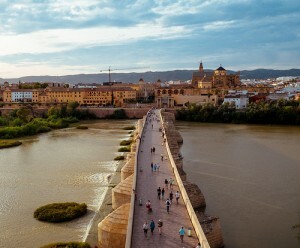 We’d recommend at least one night in Cordoba and two in Seville. Trip C Seville to Jerez, Malaga & Granada: Jerez is a one hour drive or 75 mins by train from Seville. Malaga is a little further – it takes 2hrs 30 to drive from Jerez to Malaga. Another you’ll need to factor in 90 mins to drive from Malaga to Granada. Plan at least one night in each city. Trip D Barcelona to Valencia: Journey time here is 3 hrs by rail or 3 hrs 30 by car. These cities together make for the perfect Mediterranean experience. Enjoy the amazing beaches, food markets and seafood in both. We’d recommend an overnight in Valencia or two night if you are driving and stop off at Tarragona and Peniscola en route. Trip E Madrid to Valencia: Because it takes an astonishing 1hr 40 mins to get to Valencia from Madrid by high-speed train, you can combine the inland capital with the Mediterranean blue in a question of hours – although you probably want to make that a few days. Trip F Madrid to Malaga: Just 2h 43 mins by high-speed rail, Malaga makes a perfect add-on to Madrid for those you you who enjoy museums, galleries and of course the coastline! Perfect for an art-themed mid-week break or weekend. Trip G Bilbao & San Sebastian: San Sebastian is just 1hr 10 by car or train from Bilbao so you can easily enjoy a mid-week break or a weekend in the Basque Country exploring both cities and enjoying the local cuisine and the coastline. Fly into Bilbao Airport or Biarritz in SW France and hire a car or a private driver to take yourself around this stunning region. Posted in Barcelona, Bilbao, Cordoba, Granada, Jerez de la Frontera, Madrid, Malaga, Popular Posts, San Sebastian, Seville, Useful Information, Valencia and tagged Barcelona, best cities, Bilbao, Cordoba, Granada, high-speed train, Jerez, Madrid, Malaga, must-see, San Sebastian, self-drive, Seville, Spain, Spanish, top cities, Valencia.